I hate that we sentimentalize art. We call it “immortal,” we call it a “masterpiece.” We call it “timeless.” But art is not timeless. All art comes with a shelf life. It’s just that some has a longer use-by date. A few things, like Homer or Bach, seem to last for centuries, even millennia. But other art defuses after only a few decades. How many people still read Pearl Buck? Despite the Nobel Prize? Does that mean that Buck wasn’t really any good? What about John Dos Passos? Some art speaks so directly to a certain time and place that we later forget how vital it is. It has moved from the “in” box to the “out” box. Some creations last centuries, some just years. Some art lasts only a few weeks. Pop tunes are the mayflies of art. That is no reason to discount them. Not everything has to be Shakespeare — and even the Bard, at some point, will cease to have currency, although it may be when the human race has either evolved into something else, or has obliterated itself. The fact is, art is a response to the world around us, and sometimes the things we respond to are short-lived or even frivolous. The art gets made, the books get written, the songs get sung. Too often in the past, audiences for classical music and opera have had the notion that only the old music is any good, that contemporary music is not worth wasting your time on, at least until its composer has been dead for 50 years. But that misses the very essence of what art is. That attitude turns something vital into a warm bath. Art is not a warm bath. Whether it is dance, opera, music, poetry, fiction, painting, theater or filmmaking, art is the way we grapple with the experience of being alive, of turning the inchoate and complex into something comprehensible: an image or a metaphor. Today, we think of “Figaro” as a masterpiece, but when it was written, it had a cultural and political import we know only from reading the program notes. Does that mean Mozart’s satiric take on aristocracy was irrelevant? 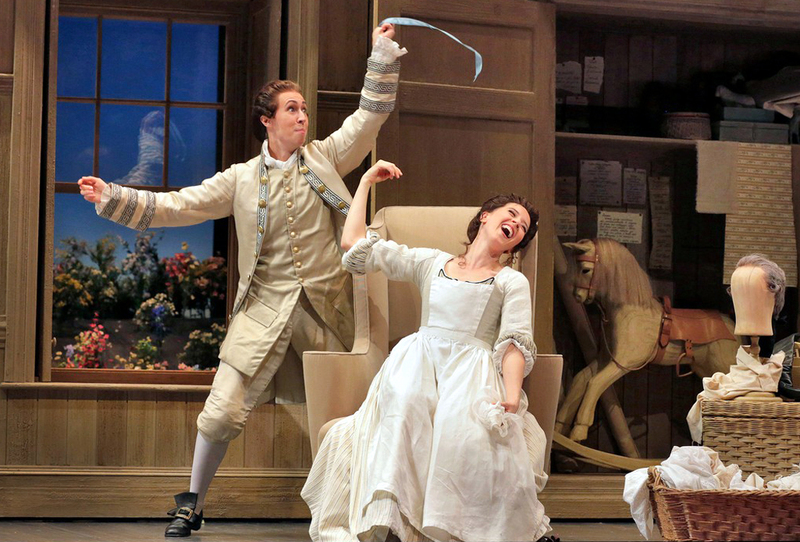 When it was new, “The Marriage of Figaro” electrified its audiences for its bravado. The Figaro we have now is tamed. It’s been praised into submission, so we don’t have to think about it anymore: It has become a warm bath. There is nothing worse you can do to art than to praise it: Praise is the lion tamer’s whip and chair. Whether it is music, poetry, theater, painting or architecture, the art needs to be refreshed. It needs new blood or it becomes irrelevant. If we let Beethoven sit there inert, he loses his charge. He becomes a warm bath. I want my Beethoven to be revolutionary. It is new music that keeps him so. If our ears aren’t refreshed, we suffer ear fatigue — like retinal fatigue from something stared at too long — and we no longer hear. If we go to Symphony Hall merely to massage our ears with the familiar fuzzy teddy bear of Rachmaninoff, we have misunderstood even what Rachmaninoff intended. We need to keep our ears alive: Dead ears murder Mozart. Wake up! is the perennial message of all art. Become engaged. Notice what is around you. Some art does this through reacting to transitive stimuli — the current political situation, for instance, or the latest fashion. Some art looks underneath the surface. But your engagement with the now in art doesn’t keep only Mozart and Beethoven alive, it keeps you alive. Wonderful article, Art does not need to be sentimental.